They don’t make ’em much tougher than Julie Angus. Cycling across continents, rowing across oceans, and penning books about her adventures are all part of her repertoire. 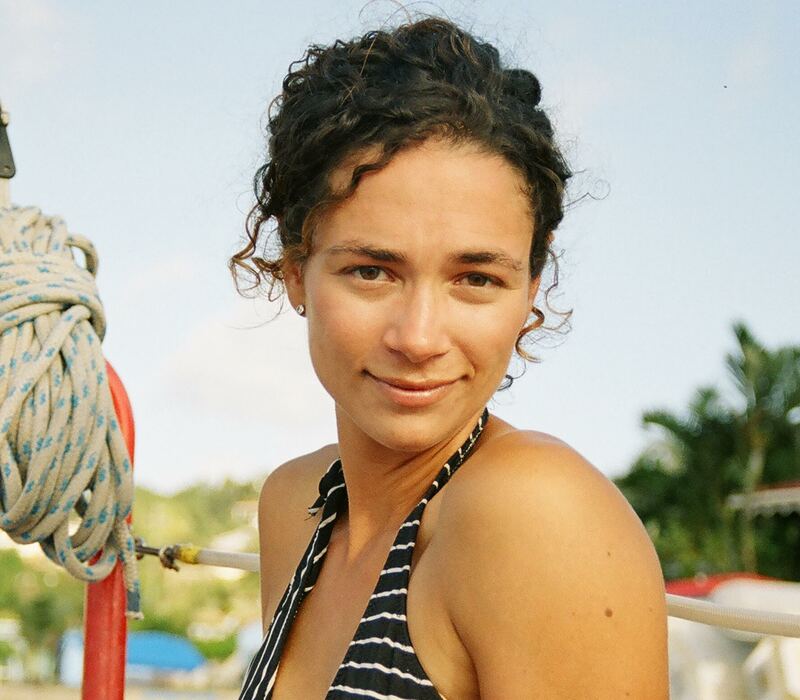 In 2007 she received National Geographic’s prestigious Adventurer of the Year award – which, if you’ve ever looked at a National Geographic, is chock full of adventures so there has to have been some stiff competition. 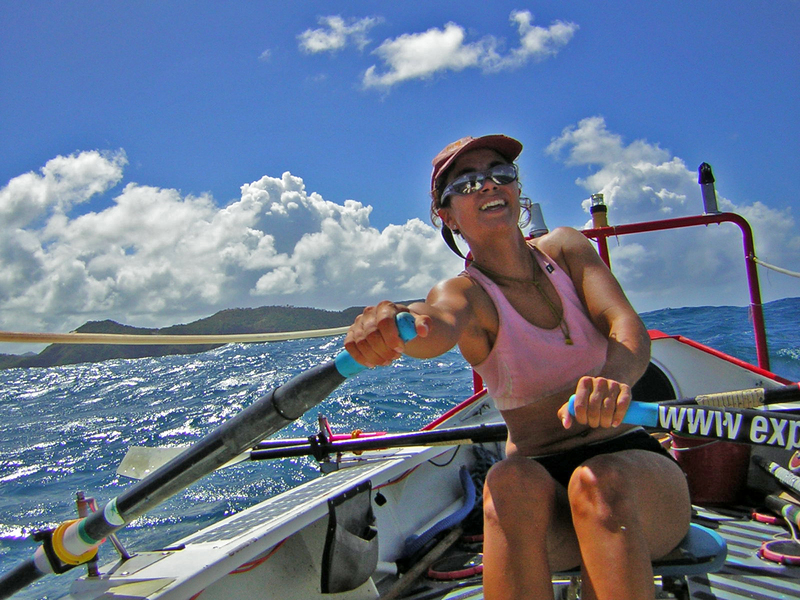 On April 12th, Julie’s MULTIPLICITY talk will focus on her rowing across the Atlantic – yep, the whole thing. Imagine surviving a hurricane with nothing more than a rowboat to shelter you, or spending five months living with your fiancé in a space no bigger than a closet. Through gripping video and captivating stories, Julie shows us what it was like to row across the Atlantic Ocean. She demonstrates the challenges of the adventure and the beauty of a fragile environment. ML: You rowed across the Atlantic… I guess the first question is: Why? Where did the idea come from? I’ve been fascinated with the ocean since I moved to the coast for university. As a biologist, I’m curious about the marine mammals, fish and ecosystems, but moreover I’m in love with its beauty. I knew rowing across the Atlantic would offer a very unique and intimate perspective of the ocean environment, plus it would be an incredible challenge. ML: Was it just an endless expanse of blue, or did you see anything that stayed with you? There’s a lot of never-ending blue (and grey) but like a prairie sky, it makes everything that appears in it and under it more compelling. The stars in the night sky, the pre-dawn light painting the sea silver, and the constant appearance of fish, birds, whales and sharks were some of my favourite moments. I saw things I never expected, like trigger fish that followed our boat for thousands of kilometers and waves that towered 40 feet over our boat – boredom, beauty and terror intertwined. ML: Do you have any more upcoming adventures we can be told about? My newest adventure is parenthood and I’m the proud mom of two boys, 9-month-old Oliver and Leif, who’s already four. We’ve already tackled a few kid-friendly adventures, including a 4-month sailing trip on the Mediterranean that was the basis of my most recent book Olive Odyssey, and this summer will be filled with micro-adventures. We’re planning a weeklong rowing trip in the Gulf Islands, lots of camping, and a few treks in BC’s parks. Tickets for MULTIPLICITY are still available right here.